First annual event to be held in Luckenbach Texas and featuring live Americana music all day, around 15 Texas Hill Country food trucks and 10 Texas Hill Country wineries as well as beer from the Luckenbach bar. Proceeds benefit the Texas Center for Wine and Culinary Arts. The Americana live music schedule will kick off at noon and continue until 11:30 pm. Headlined by The Green Cards, performers will include Milk Drive, Lewis and Martin, Paul Cauthen, Bonnie Bishop, Dan Dyer, Steve Poltz and more. Tickets are available online. Noon to 9 pm. Music until 11:30 pm. $15 per person; kids 12 and under are free. Rain or Shine! Members of the Fredericksburg Art Guild, 308 East Austin, create art using the artist’s color palette as inspiration. Opening reception from 4 to 8 pm during First Friday Art Walk Fredericksburg. Call 830-997-4949 for more details. Get out of the heat and come inside 234 W. Main to enjoy cool art offerings, beverages and friendship during First Friday Art Walk Fredericksburg. Bring your whole family to the Roots Music Series at the Pioneer Museum, 325 W. Main St.! Listen to emerging and established artists at these live, outdoor concerts. Dance on the dance floor beside the stage and under the trees. Get comfortable in your favorite lawn chair under the stars. Dine on some of the best cooking in the county with a cold beer, wine, water or soft drinks for sale. Every month brings a different genre and menu. This month is “Electric Blues Night” featuring The Peterson Brothers Band at 6:30 pm, Bobby Mack at 7:45 pm and Chris Duarte Group at 9:15 pm. All proceeds support the Mission of the Gillespie County Historical Society (GCHS). Gates open at 5 pm; music starts at 6:30 pm. $15 per person at the gate or $13 online. Hosted by Fredericksburg Vintage Car Club. Featuring a car corral, flea market with over 900 spaces, free parking and free shuttle service on Saturday. Concessions available. At Lady Bird Johnson Municipal Park, on Highway 16 South. Friday and Saturday 8 am to 5 pm; Sunday 8 am to noon. Free admission. Call 830-998-4058 for more information. Competition shooting--spectators free--at the Bear Creek Shooting Range 2660 Center Point Rd. Sunday, July 20 from 9am-6pm. Refreshments on grounds. Call (830) 997-8006 for details. All twelve wineries making up the Wine Road 290 wine trail will join forces to host 'Chili and Chillin' with Texas chili or Southwestern chilies matched with perfectly chilled Texas wines! Enjoy music, fun, and great food from area restaurants. There is no cost to participate in the pairing and there are no tickets. Usual tasting fees apply at each winery for regular wine tastings. 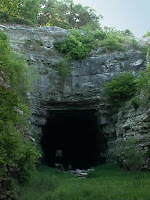 The Old Tunnel Wildlife Management Area on Old San Antonio Road is home to over 2 million bats, and viewing the nightly emergence (May - October) from their roost in the old railroad tunnel is a popular free event for many. For most current expected viewing time each night, call the Old Tunnel information line at 866-978-2287. It's also recommended that visitors arrive at least one hour before the posted time in case the bats emerge sooner than expected. Education sessions on the lower level on Thursdays through Sundays are available, with tickets to attend for sale beginning at 6:15 p.m. (these sell out quickly so arrive early). Artisans, 234 West Main, presents “Feathers and Flora”, a collection of paintings of colorful hummingbirds, birds, animals and flowers by master illustrator Daniel Adams. Artist reception from 5 to 8 pm during First Friday Art Walk Fredericksburg. Taste award-winning Chisholm Trail wines and enjoy live music. Wood-fired pizza will also be available. Chisholm Trail Winery is at 2367 Usener Road, west of town. Call (830) 990-2675 for more information. Annual event being held this year in conjunction with horse racing weekend. Raffle tickets will be sold throughout the races and prizes will be awarded between races. Proceeds provide local students with scholarship opportunities. 11 am to 10 pm. $25 per person for horse racing and Scholarship Fest; $20 for Scholarship Fest only. Proceeds raised from the event go toward the Gillespie County Fair and Festivals Association's Scholarship Fund benefiting youth in Gillespie County. Please call 830/997-2359 for more information. Chili sampling, Peoples’ Choice judging and Official judging. CASI-sanctioned event to raise money for Habitat for Humanity of Greater Fredericksburg. 10 am to 5 pm. $5 per person for 10 chili samples. Becker Vineyards is 11 miles east on Jenschke Lane off of Hwy 290. What if you could gather all those great bands of yesterday to perform their greatest hits for you live and in person, all together and on the same stage? The original and “authentic” sounds of the bands of Glenn Miller, Tommy Dorsey, Benny Goodman, Harry James and more? It sounds like an impossible dream, but it isn’t. The great sound of the greatest bands of the swing era…”the Greatest Music of the Greatest Generation”… is alive and well, and can once more be heard in person, courtesy of the dedication and musical artistry of the Sentimental Journey Orchestra. An authentic 19-piece big band featuring full sections of trumpets, trombones, saxophones, rhythm and vocalists, under the direction of leader Ted Conerly, serves up a banquet of the Big Band’s Greatest Hits. Tickets available online. Friday showtime is 4:30 pm. Saturday showtimes at 4:30 and 8 pm. $37 – $47 adults; $17 youth. Rockbox Theater is at 109 South Llano. Call (830) 997-7625 for details. Enjoy this Fredericksburg tradition of fireworks at 9:40 pm at Lady Bird Johnson Park after a day of celebration. Starts at 9:30 pm. Admission is free. Annual event featuring Walt and Tina Wilkins and friends. Live music all day. Special guest this year are The Warren Hood Band , Brennen Leigh & Noel McKay , and Brennen Leigh & Noel McKay . A great Family day in Luckenbach, Texas. 1-6pm This is an outdoor event. Please bring your lawn chairs, dogs on leashes, grandmas, aunts and uncles. The World famous Lawn Mower Parade happens at 4pm. Fundraiser benefits the Harmony Project.